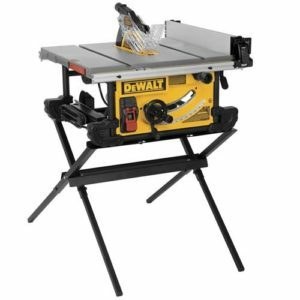 It doesn’t matter if you are a professional, or a hobbyist, everyone knows that a workshop is not complete without a good table saw in place. 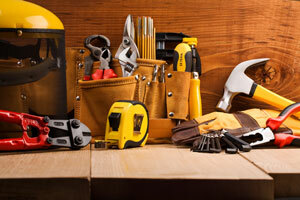 With the large number of choices, it can get confusing trying to decide which saw would best suit your needs. However, if you have a budget of 500 dollars, this list will help you find the best table saw under 500 dollars that fits your needs. Take into consideration what type of work you will be doing. 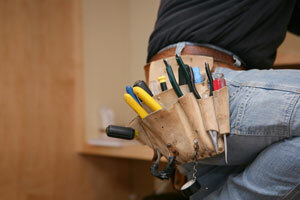 If you are traveling to different work sites, then you will want to choose one that is compatible for travel. 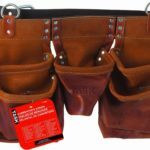 Do you want one that will sit permanently on your workbench, or perhaps you have little room and you need to tuck it away when not in use. 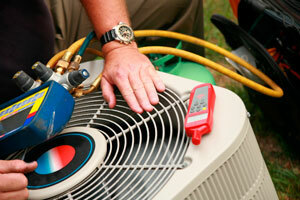 You will also want to consider what the job is that you will be doing so that you can compare the amps and blade sizes. With the following list, you will not only be able to make a wise decision, but you will also be able to save some money along the way. It starts with the best table saw under 500 dollars. If you are replacing a wood laminate floor, then this number one bestselling saw will be perfect for the job! Reviewers say this is the best table saw under 500 dollars that you can find! 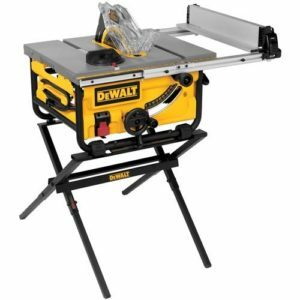 This DEWALT table saw is built with an 1850-watt motor, and is equipped with a standard 24 tooth SERIES 30 saw blade. 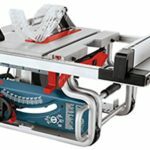 It is designed with a cast table top to secure accuracy and skill, while it provides a steel roll cage that will protect the saw from damage if it is dropped. 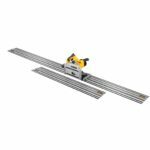 The rack and pinion fence system, the front and rear fence lock, and the large, precise scales are provided for accuracy and easy use of the saw. 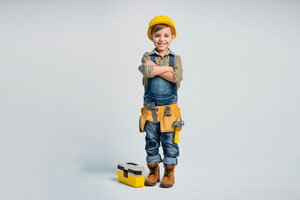 Complete with a miter fence, two blade spanners, a parallel fence, a dust port reducer, and a push stick, DEWALT has included everything you need to get the job done. 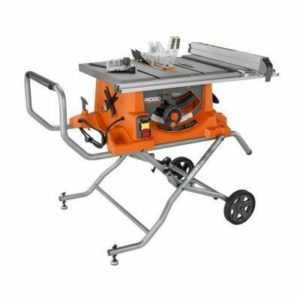 This 15-Amp table saw has the power and ability to handle any job, large or small. Perfect for jobs on the go, this portable table saw provides a compact design that can be carried with one hand by using the clever carry handle. 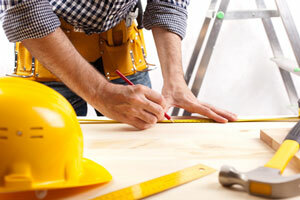 If you have a large job to complete, that is no problem, because the table will extend to accommodate an 18-inch cut. Bosch included a square-lock rip fence that self-aligns for efficiency, and they even added storage underneath the table for all your accessories. Other safety features of this saw include a riving knife, anti-kickback pawls, a blade guard, and a convenient push stick. Complete with a 1-year warranty and a great rating, everything you need is right here at your fingertips. This 15-amp table saw from Ridgid has the capability to rip through a 4×4 in a single pass. The convenient rolling stand makes this saw versatile to use anywhere, at home, or on the jobsite. 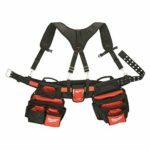 Designed with a front and back clamping fence with T-slots, you can hold all your necessary accessories right on the saw for easy access. This saw provides a single-point release for one step simple set up, and a modular tool-free blade guard system for safety. Ridgid offers a full lifetime warranty on their tools, and this one is backed with a high rating and a price that won’t empty your wallet. 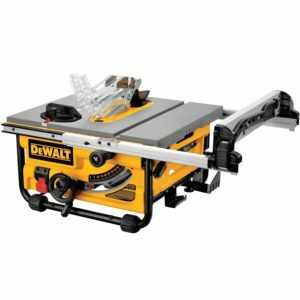 This 15-amp table saw from DEWALT provides a 24- tooth carbide blade that will rip through a variety of larger sized shelving and trim materials with ease. This saw is packed with so many features that you will never have the need for any other saw. 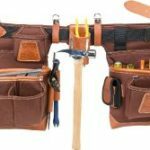 A 10-inch blade, miter gauge, and hardware bag are included, along with a push stick and blade guard for added protection. A metal roll cage base was installed to guard against damage, and a dust port that will hook up to a 2 1/2 -inch vacuum is provided to eliminate dust and make clean up a breeze. The durable stand will fold flat for easy storage, and on-board storage is provided for easy entry to the site-pro guarding components and the push stick. All this is offered with an excellent rating and a price you can afford! 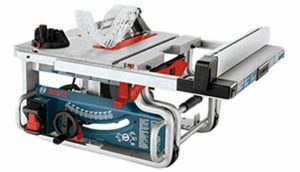 This 15-amp saw offers 28-inches of rip capability to cut through heavier shelving and trim materials. The Pro Modular guarding system enables you to adjust the guarding components without having to use any tools. Fence adjustments are made with brisk detail and little effort, by using the rack and pinion telescoping fence rails. Rubber feet were added to the scissor stand for protection against scratches and other damages to hard surfaces. Backed by a 3-year limited manufacturer warranty, this saw was packed with all the features you will need to make your job a success. An excellent choice for the money, and a super rating, are only a couple of reasons why you should consider this table saw when making your choice. 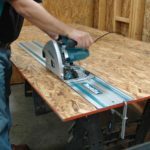 Now that you have this list of table saws, you should be on your way to successfully completing those home improvement projects in no time by buying the best table saw under 500 bucks!